Dave, who’d made a positive start to the 2016 season with a number of podium finishes, explained: “I started training back at the gym properly at the start of June. I’m still limited in what I can do for fear of damaging myself in my pelvic region but I’m walking and can almost break into a jog! “I’m having regular physio to try and bring all the muscles back up to speed. It sounds daft but I had to learn to walk again! “The surgeon says my body will take a crash should the worst happen but has encouraged me not to fall off too often! “Seriously though, I feel physically very good, my upper body strength is still good and only marginally reduced from pre crash, my core strength is poor although I’m "planking" and doing other random core exercises throughout the day to bring it back as good as I can within the timescale. “Those outside of the racing fraternity will think I’m crazy and that I should have retired after this "big one" but the truth is the last big one was just as bad and that didn't put me off when I broke both my wrists and collarbone in the same sitting. “These things happen. You learn, stay positive and move on. I love racing bikes way too much so I can guess you could call it an occupational hazard with occupational therapy thrown in now and then! 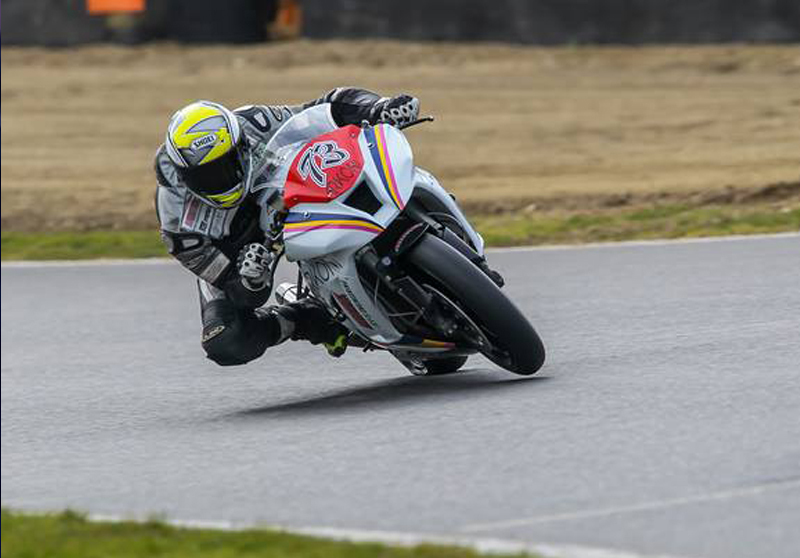 “I rode a bike on the test day for the last round recently at Cadwell Park and it was surprisingly comfortable. The purpose of the run out was to see if my flexibility was a limiting factor in my riding. It didn't appear to be although I was only pottering round. Riding at the limits is a different story and I won’t be able to do that until Oulton. “My chances in the championship are obviously out of the window. That hurts more than the injury to be honest but you can't have it your own way in this game. If it’s not crashing it’s money or something else but I’m lucky to have the support of Arkoni Metalwork behind me and a host of other sponsors. “My goal for this season is be as near to 100% fit by the end of it and ready for next year to chase podiums and race wins. I’m quite capable of that but I’ll also be out to have as much fun as possible!” concluded Dave.